Long Island Native Flavor Flav is facing the possibility of being sent to jail after failing to pay over $111,000 in child support according to the New York Daily News. Angie Parker, the mother of three of Flavor Flav’s children, brought a violation petition in New York’s Albany County Family Court. The rapper, famous for being a member of the hip hop group Public Enemy and for his VH1 reality shows Flavor of Love and Strange Love, failed to appear for last week’s court appearance. After an inquest, the Support Magistrate found that Flavor Flav had violated the support order and that the violation was willful. Failing to appear in court may have been the rapper’s downfall. In a New York child support violation case, the custodial parent has the burden of proving that the non-custodial parent has failed to pay support. Once that has been proven, there is a legal presumption that the failure was willful. That presumption can be overcome by presenting evidence of the non-custodial parent’s financial inability to pay the support order. When Flavor Flav failed to appear in court, he essentially waived his right to offer any evidence regarding his ability to pay and to disprove the willful aspect of the non-payment. 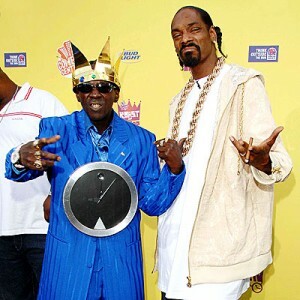 Under § 454 of New York’s Family Court Act, the court may incarcerate Flavor Flav for up to six months for his willful failure to pay support.